Dr. Pyle is double board certified by the American Board of Otolaryngology-Head and Neck Surgery and the American Board of Neurotology. He specializes in otology, neurotology, and lateral skull base surgery. Specialty areas include: disorders of the ear, facial nerve and balance disorders, restoration of hearing and cochlear implantation, and skull base tumor surgery. Dr. Pyle provides a wide range of services including Acoustic Neuroma Removal, Bone-Anchored Hearing Aids (BAHA), Cochlear Implants, Congenital Atresia of the Ear Canal and Middle Ear, Endolymphatic Sac Decompression, Facial Nerve Grafting, Gentamicin Titration, Hearing Aids, Labyrinthectomy or Vestibular Neurectomy, Mastoidectomy, Mastoid Obliteration, Ossiculoplasty, Removal of Tumors and Vascular Lesions of the Middle and Posterior Skull Base and Brain, Posterior Semicircular Canal Occlusion, Skull Base Surgery, Stapedectomy, Superior Semicircular Canal Dehiscence, Tympanoplasty, Zenker’s Diverticulectomy. 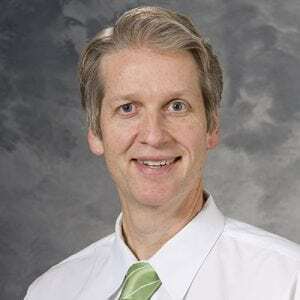 Dr. Pyle’s research interests include new techniques in intraoperative monitoring during acoustic neuroma surgery, outcome studies in the surgical treatment of vertigo, objective measurements of middle ear function, and embryologic development of the inner ear. Resection of middle petroclival meningioma via combined anterior transpetrosal and retrosigmoid approaches at two separate stages: 3D operative video. Transmastoid approach to the superior semicircular canal: An anatomical study. Single institution experience treating 104 vestibular schwannomas with fractionated stereotactic radiation therapy or stereotactic radiosurgery. Retromandibular fossa approach to the high cervical internal carotid artery: an anatomic study. Endolymphatic sac decompression as a treatment for Meniere's disease.